In 2001 a group of glider pilots donated money to purchase a set of Intercomp ACII Aircraft Scales. The scales were kept at my house and made available to glider and aircraft owners that wanted to weigh their aircraft. The rental fees varied over the years. I charged enough to cover annual calibration costs and repairs as needed. After 12 years of use the scales were getting to be less reliable - mainly due to wear on the cables and connectors. In early 2013 I sold the scale system and donated the profit from the sale to the Region 7 Soaring Contest fund. I purchased a new Intercomp SW650RFX wireless scale system with my own funds and will continue to make them available to MN glider and aircraft owners. It is my opinion that most aircraft are not weighed often enough. Aircraft seem to pick-up weight over time. Sailplanes tend to get more tail-heavy over the years - causing the c.g. to move aft - which can be a real safety concern. The manual for a Schempp-Hirth Ventus b sailplane I owned in the past recommended weighing it every 3 years. Please weigh your aircraft soon. 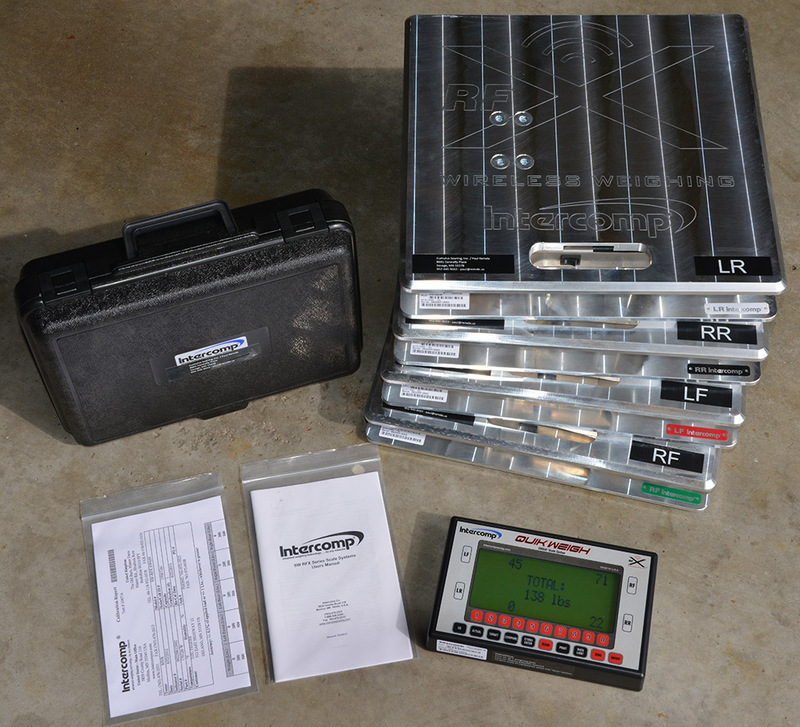 The scales are available for use by all MN aircraft owners and commercial operators. The fees are setup to encourage the user to return the scales ASAP - so they will be available for others to use. The rental fee is $95 for 2 days, plus $5/day if they are not returned after 2 days. The scales may be used to weigh aircraft of all types up to the maximum weight of 1,500 lbs per weighing pad. Three weighing pads are normally provided with the system. A 4th weighing pad is available upon request. Payments should be made to Cumulus Soaring, Inc. I strongly prefer payment by check in advance, but can also accept payment by credit card if necessary. The scales are currently stored at my home in Savage, MN. If you would like to use them, please call me or send me an email. The scale system is very easy to use. Simply turn on the weighing pads you want to use and turn on the display. Use the zero key on the display to zero all the weighing pads before putting the aircraft onto the weighing pads. Please be sure to turn off the weighing pads and the display when done to conserver battery power.